Naruto Shippuden Box Set 32 contains Episodes 402 – 415, a slightly more generous episode count than the regular 13, possibly so this set isn’t entirely filler, who knows? I wouldn’t want to speculate. 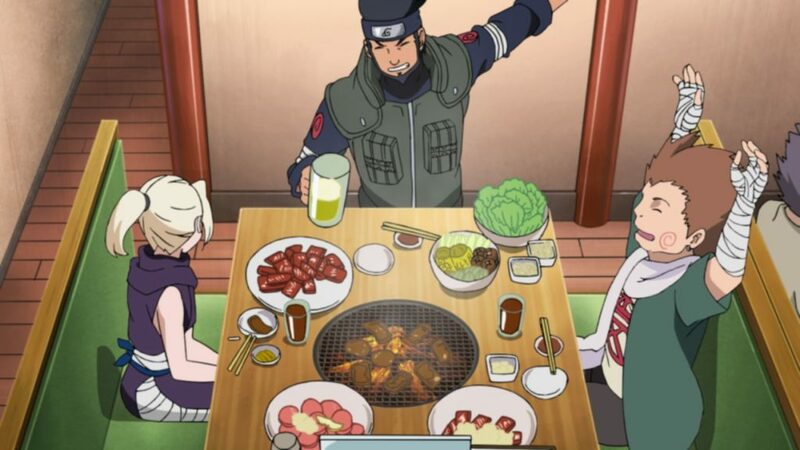 As mentioned in the opening blurb, Episodes 402 to 413 are all entirely filler, finishing off the “New Chunin Exams arc”, or the “In Naruto’s Footsteps – His Friends’ Tracks” story, to give it its official Japanese name. 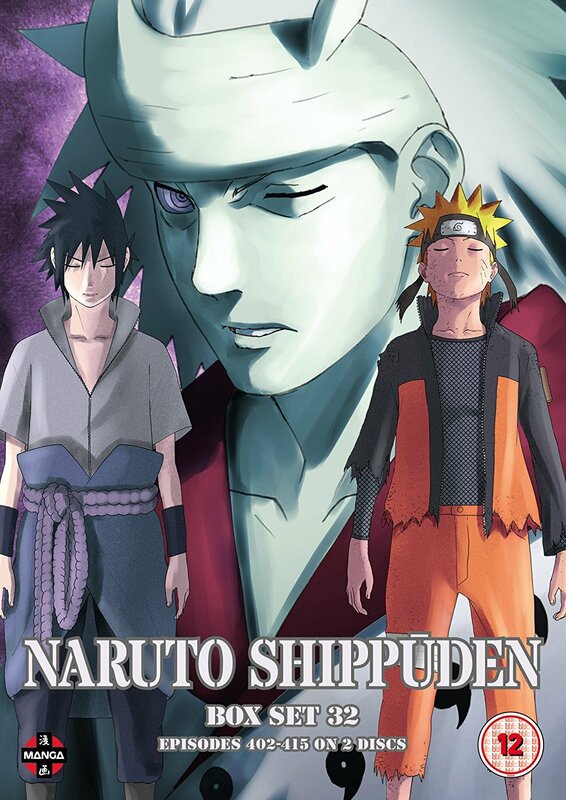 It’s set in between the original Naruto series and Shippuden, and tells the story of how all of Naruto’s friends got promoted to the rank of Chunin, using the same several-phase survival game set-up the original series did way back when. Though this time the setting is the Hidden Sand village and they throw in a subplot involving the shadowy Akatsuki trying to gather tailed beasts, as they have done throughout the entire series, the pay-off of which we would be seeing right now if we weren’t stuck in filler episodes, but hey-ho! What little praise I can muster for the arc is that it does put focus on a few characters that have been thrown to the wayside over the years, and gives them either a bit of further development or explains how they overcame a shortcoming they had in the original series that was gone by the time-skip into Shippuden. 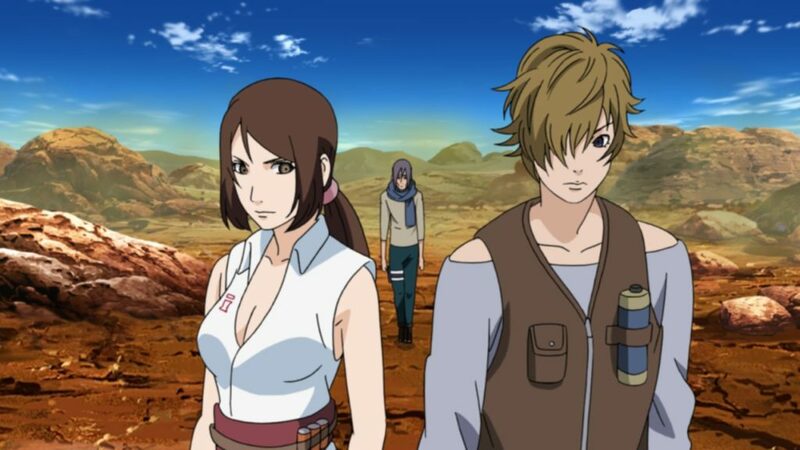 Tenten, Ino, even Sakura (not that she really needed any more developing by this point) get plenty of screen time, as well as the one-tail Jinchuriki (someone with a tailed-beast sealed inside them) and leader of the Sand Village, Gaara. We also see plenty of Fu, the Jinchuriki of the seven-tails, and Ajisai, one of the people we previously only knew as a corpse being manipulated by the Akatsuki leader Pain, so there are some new things as well. All this doesn’t save the arc from being dull and repetitive mind you. So many episodes see the same few teams come across each other and then the fight ends with neither winning so the arc can continue a bit longer. The last two or three episodes are actually good, with some good action and a few nice continuity nods, but it’s not worth the wait, I can tell you. Episodes 414 and 415 see us return to the Fourth Shinobi World War battlefield, which is now pretty much everyone versus resurrected and all-powerful Madara Uchiha, who when we last saw him had seemingly killed both Sasuke and Naruto. 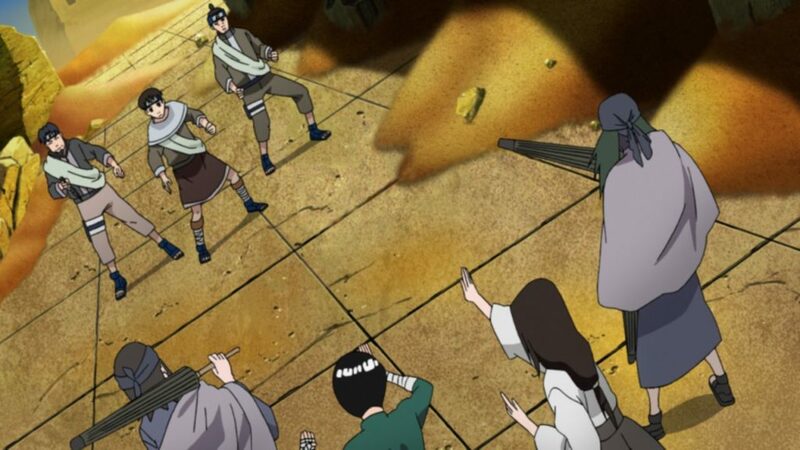 Obviously this doesn’t stick, but these two episodes show several of their allies attempting to stave off Madara for long enough to make time for their lives to be saved. It has a few good moments, but of course just as you’re getting into the main storyline again, this set ends! “Silhouette” by KANA-BOON continues to be your opening until Episode 406, where it becomes “Kaze” (or “Wind”, which you probably already knew, but just in case!) by Yamazaru. “Spinning World” by Diana Garnet similarly is your ending until the end of Episode 405, with “Kotoba no Iranai Yakusoku” (or “A Promise That Needs No Words”, which you probably didn’t already know! I know I didn’t!) by sana takes over from 406 onward. Guess what? A clean opening and ending, and trailers are the only extras. Surprise!